PRT Consulting Inc. is committed to providing personalized, responsive service resulting in smoothly executed projects. 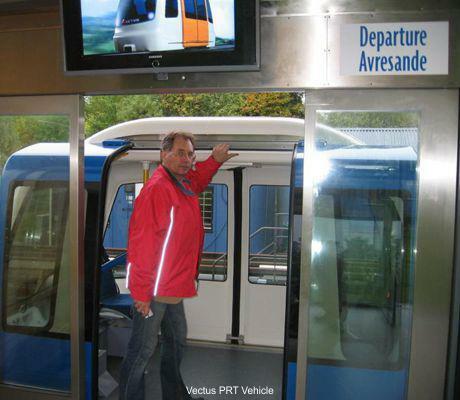 Our business focuses on consulting services for personal rapid transit (PRT). PRT can be described as a system of driverless taxicabs that takes passengers to their destination along dedicated guideways without intermediate stops. PRT is also known as automated transit networks (ATN) or Podcars. PRT can save time, money and space while enhancing security. Browse this website to find out more. Contact us to learn how PRT could be applied to meet your needs. Improving transportation through innovative engineering. We are dedicated to improving transportation through innovative engineering. We believe that incremental improvements are no longer sufficient to overcome the rapidly growing problems of congestion, pollution and security facing both surface and air transportation systems. 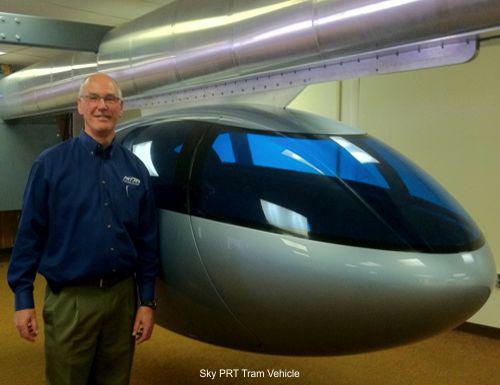 PRT is a new paradigm that promises to solve many transportation problems. However, PRT is not the answer to all problems. Furthermore, developing a viable PRT system is not a trivial undertaking, and some PRT systems currently under development may fail. We believe that we have a vital role to play as an independent consultant guiding our clients through the complex tasks of deciding to implement PRT and selecting the best system for their needs. Innovation is a key part of our mission. We have a history of finding solutions to problems thought intractable by others. At the same time, we have the education, training and experience necessary to distinguish between a wild idea and a new concept that is not only revolutionary, but also is practical and fully capable of being implemented. PRT Consulting believes we are the only engineering and planning consultancy that combines a staff of experienced engineers and planners, with a team of highly qualified consultants, to focus primarily on projects related to personal rapid transit. Our in-depth knowledge of all aspects of personal rapid transit allows us to ensure that we provide you with a thorough evaluation of all of the pros and cons of personal rapid transit relative to your project. If you wish to compare personal rapid transit with conventional automated people movers and/or conventional transit, we can team with companies specializing in those systems. We are independent of all personal rapid transit vendors. We make it our business to understand their systems, focusing mostly on those that are, or are close to being, commercially available. While we utilize various vendor-supplied simulation models, we rely on our own NETSIMMOD to provide vendor-neutral simulation results. We are committed to only recommending the best personal rapid transit systems that meet the specific needs of each individual client.